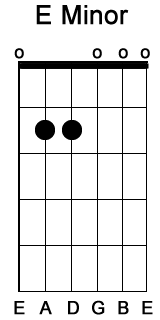 Minor Chords - Learn to Play Basic Chords. Free Guitar For Beginners Lessons! 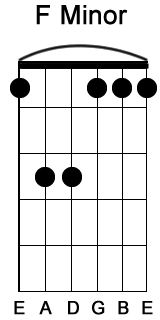 Learn to play these basic minor chords and you'll be playing songs in no time. 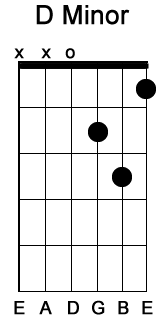 Minor chords are very similar to Major chords. 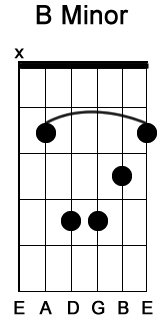 Minor chords have a darker or sadder sound to them compared to Major chords that you saw in the last free lesson. 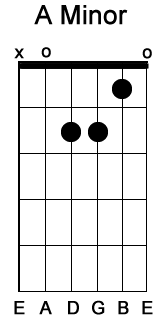 To play these Minor chords put your fingers where the black dot are. 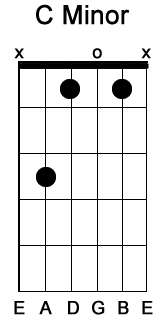 Then strum all the strings that are part of the chord. 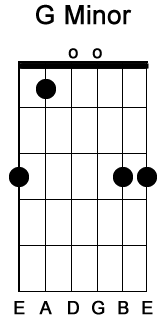 Remember that "O" is an open string meaning that you don't fret that string but still play it and "X" means that you don't play that string.